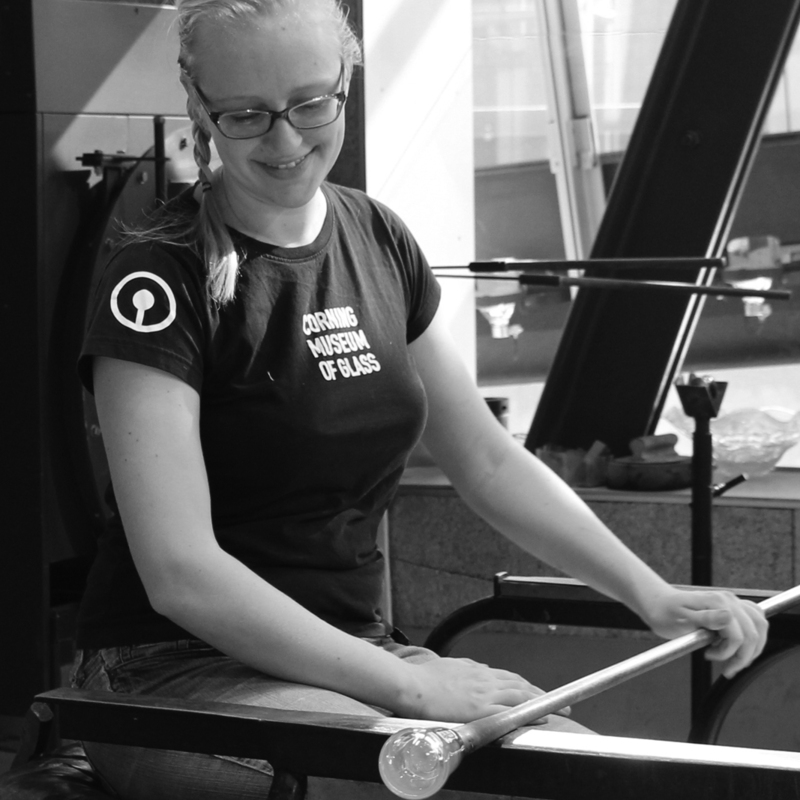 Watch Heather Spiewak, a member of the Hot Glass Demo team, demonstrate her talents as an artist in the Amphitheater Hot Shop on June 28 from 6 to 8 pm. Spiewak will be combining two techniques — incalmo and graal — in order to create intricate patterns in glass. During her demonstration, Spiewak will apply her love of pattern found both in nature and architecture and work with the furnaces to create something that expresses her as an artist. Can't make it to the Museum? Watch the live stream! Each demonstration will be added to our YouTube channel. See the full listing of past live-streamed demonstrations, and check back for new videos soon. Heather Spiewak graduated from Illinois State University, where she studied studio arts, glassblowing, and archaeology. There, she fell in love with sculpture and history, especially in glass. Spiewak now works at the Museum, where she been involved in several programs, including Make Your Own Glass, Fun with Glass, Artist-in-Residence, and the Hot Glass Demos.